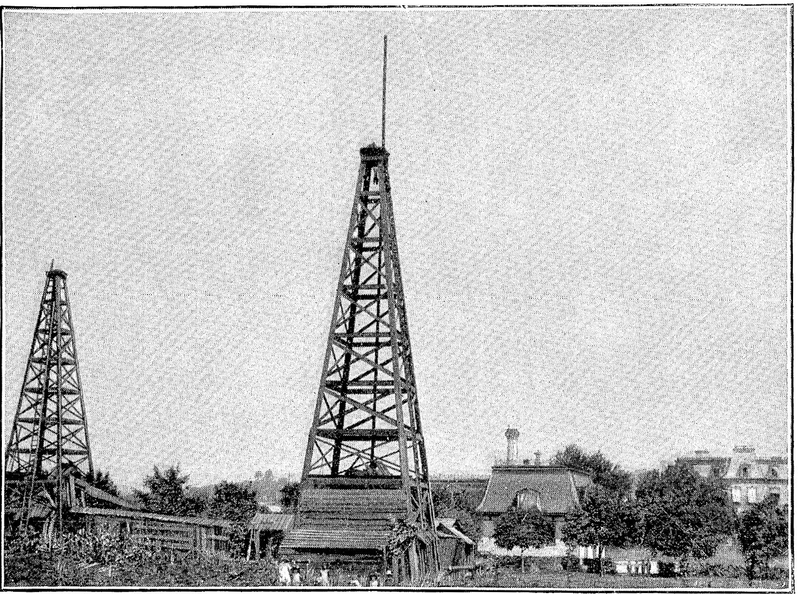 Additional Description: Photograph of Westinghouse "Old No.1" natural gas derrick in daytime, sometime between June 1884 and end of 1889, located at the Solitude estate in present-day Westinghouse Park. The Westinghouse carriage house/laboratory and the mansion are seen on the right. Submitted: January 26, 2018, by Mike Wintermantel of Pittsburgh, Pennsylvania.